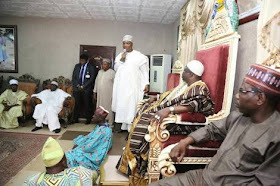 Home Local news Saraki accompanied by Offa Robbery Gang Leaders to sympathise with Offa monarch? Saraki accompanied by Offa Robbery Gang Leaders to sympathise with Offa monarch? One thing that baffled many Nigerians is, how come these guys Rob Five Banks, Kill over 30 People and still stayed in Kwara State, living life comfortably as if they were above the law until Federal Police went there? Looks like there is more to their daring operation indeed. 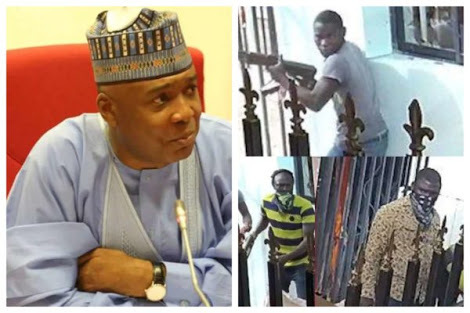 The Police in Abuja said that 48 hours after the Offa bank robbery that claimed the lives of over 30 persons, including nine policemen, four of the gang leaders followed Senate President Bukola Saraki to the palace of the Olofa of Offa, Oba Muftau Gbadamosi Esuwoye, to sympathise with him. What! Is this for real? The police also said it was necessary for the Senate President to explain why he purchased prohibited arms for the suspects, insisting he had a case to answer. A source at the SARS office in Abuja, told Vanguard that contrary to widely publicized report, which indicated that Saraki was invited because of his role in the robbery attack, the Senate President was only invited to explain why he allegedly purchased illegal and prohibited weapons used to kill innocent and law-abiding people. “So from these and other discoveries, there is really the need for the Senate President to explain these links. Nobody is saying otherwise," the source added.